Among a number of dishes that are endeared by the people of the country of India, mutton currey is the most vital one. It is a dish that has a very rich cooking with a very spicy taste. It is prepared from mutton and vegetables. Railway mutton curry, a variation of the dish of mutton curry has been originated during the British Raj – colonel era. The dish used to be served with Raji, a cereal. 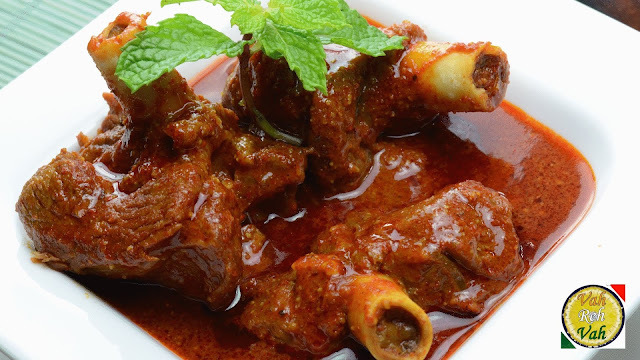 The dish of mutton currey has its origin in the Bengal province of India. It is a main course of food and the type of the food is curry. This delicious dish is served hot with hot rice, bread or nun. This Indian delicacy has got huge fan followers throughout the country. It is served in almost every special occasion such as birthday party and nuptial ceremony. The ingredients that are used in the preparation of mutton currey are mutton, either from lamb or goat. The main ingredients of the preparation consist of tomato, ginger, coriander leaves, chili, onion, turmeric powder and mustard oil. The present way of cooking has added a few more ingredients to the preparation like curd, milk etc. assortment of spices are also added to the dish to make it spicy and tasty. The ‘Kosha Mangsho’ is the Bengali version of the dish of mutton curry. It is with the idea of retaining the flavor of the mutton. It has less juice in it and includes more of the gravy. It is one kind of variation of the dish of mutton curry. This dish is prepared by slow cooking and sautéing methods. There are numerous hotels and restaurants in Bengal who serve the dish with its complete delicacy and flavor. Railway mutton curry is another variation of the dish of mutton curry. This dish originated in the British Raj- colonel era to serve to the passengers in long distance train journeys. They were served with dinner rolls. Tamarind being the most important component of the dish as it was used to extend the shelf life of the dish. The dish though has its origin in Bengal has spread over the district as well as the national boundaries. The dish has been made very popular in many of the other states of the country of India. The recipe in various states has gone through small changes to it suitable for the place and its inhabitants. The availability of the ingredients is as well responsible for the variations. For example the south Indian preparation uses coconut oil instead of the mustard oil that is considered the most important ingredient in the Bengal. The dish of mutton curry is available at a very affordable rate in various restaurants and hotels throughout the country. A plate of mutton curry consists of at least two pieces of mutton and the gravy or the juice. Good restaurants serve standard size of pieces of mutton in them. The dish is quite healthy for almost all age groups. The dish being spicy should not be consumed much frequently by the old aged people. The dish of mutton currey is quite popular in various states of the country. However, in order to get the actual spice and taste of the dish you must visit any Bengali restaurant. So once you are in the state do not miss out the dish. It can be guaranteed that you would be back in any such restaurant once you taste it. Kerala has its one of the magical recipe for mutton curry. Small cubed shape marinated pieces of meat are taken in pressure cooker and left to cook well. In a sauce pan with their special and famous coconut oil, fine chopped onion and large pieces of onions with curry leaves are added with cooked meat along with the gravy produced. In the end there homemade masala powder is added to enrich it with its kerala flavours. It is best served with rice, chappati or palappam.